Trouble With The Curve Announced on DVD and Blu-ray. 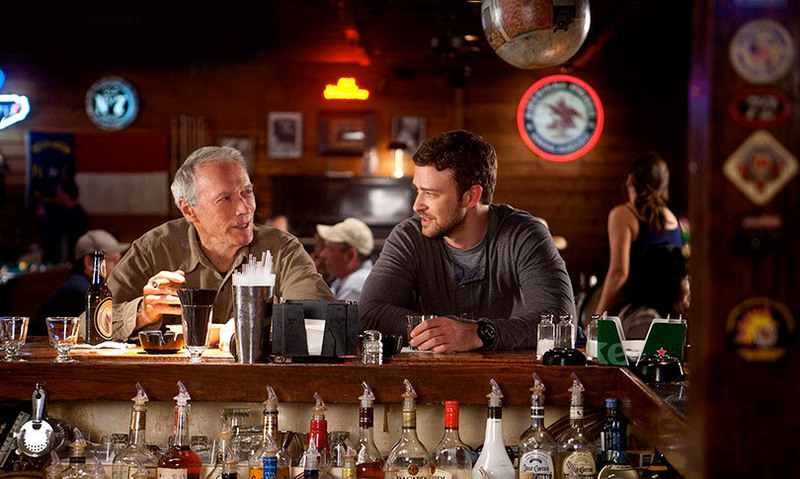 Clint Eastwood, Amy Adams and Justin Timberlake star in the baseball drama. Warner Home Video will release Trouble With The Curve on DVD and Blu-ray December 21. See the movie trailer, photos and poster below. 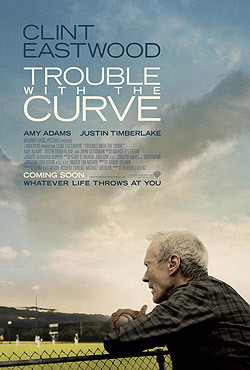 An aging Atlanta Braves baseball scout (Eastwood), reluctantly brings his daughter (Adams) on his final trip to help woo a batting phenom. 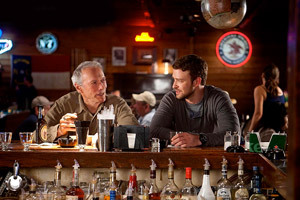 The situation becomes complicated when he and his daughter encounter a rival scout (Timberlake). MPAA Rating: (PG-13) for language, sexual references, some thematic material and smoking. Gus Lobel (Clint Eastwood) has been one of the best scouts in baseball for decades, but, despite his efforts to hide it, age is starting to catch up with him. Nevertheless, Gus—who can tell a pitch just by the crack of the bat—refuses to be benched for what may be the final innings of his career. He may not have a choice. The front office of the Atlanta Braves is starting to question his judgment, especially with the country’s hottest batting phenom on deck for the draft. The one person who might be able to help is also the one person Gus would never ask: his daughter, Mickey (Amy Adams), an associate at a high-powered Atlanta law firm whose drive and ambition has put her on the fast track to becoming partner. Against her better judgment, and over Gus’s objections, Mickey joins him on his latest scouting trip to North Carolina, jeopardizing her own career to save his. Forced to spend time together for the first time in years, each makes new discoveries—revealing long-held truths about their past and present that could change their future.